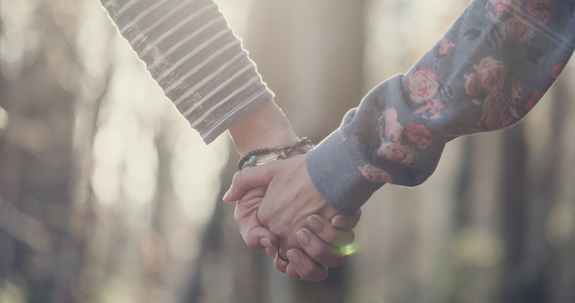 In the wise words of Ghandi, ‘Where there is love there is life’…well we believe that love is in the air all year round here in Totnes, but if you want to get particularly romantic around Valentine’s or just spend time with your family or friends during the school holidays we have lots of charming things to do. With the sentimental day itself falling into February Half Term there are many attractions open offering you the chance to spend a delightful day doing something a little bit different. I mean surely there’s nothing more romantic than taking a ride on an old steam train?! Running along the stunning valley of the River Dart between Buckfastleigh and Totnes, the South Devon Steam Railway is perfect for couples, families and friends and offers a great day out whatever the weather. If you want to get creative (and escape the rain if the weather doesn’t behave itself) you can visit China Blue and spend some time exploring the unique gift shop, treat yourself to a tempting treat in the cafe and of course paint your own ceramic souvenir or have a go at pot throwing. Alternatively on Valentine’s Day itself there is a 2 hour Evening Taster Class by Steve Robinson Glass at Coombe Park Craft Studios near Ashprington, where you can make a fused glass tealight panel to take home making the perfect experience and gift all in one. The class will run from 7 – 9.00 pm and costs £45 per person. You can’t beat the cinema for a few hours escapism and entertainment, and as one of the top dating destinations it’s a great place to take your Valentine or somewhere to meet up with friends. Totnes Cinema offers a unique and very romantic evening unlike any other. Playing films on a classic 35mm movie projector for authentic viewing and offering a fully licensed bar serving fine wine, local craft beer and themed cocktails within the cinema itself it offers a relaxed and intimate experience. The Valentine’s Day screening will be Baz Luhrmann’s passionate musical Moulin Rouge at 8.00 pm, or there is Romeo and Juliet on Sunday 11th February and Little Shop of Horrors on 16th if you prefer something more light-hearted. Alternatively, the quaint Barn Cinema sits in the stunning grounds of the Dartington Estate which will be playing A Woman’s Life at 8.00 pm on 14th February, a French tale of tormented love in 19th Century Normandy (subtitled). Why not combine this with a delicious meal at the White Hart Inn or one of the many other relaxed cafes, or take a walk around the beautiful gardens. There are many other pretty walks around Totnes if you’d like to take your loved one for a romantic stroll, with an interesting walk around the historic town or a gentle stroll along the banks of the River Dart, or if you’re feeling more adventurous there are longer routes to Sharpham or Dartington, all perfect for those hand-holding connections or view finding moments. For those who would like to be wined and dined, Totnes is full of interesting places to eat and drink. Whether you want the romance of a river view or the hustle of dining in the heart of the town there’s a wide range of dynamic cafes, intimate restaurants, cosy pubs and quirky bars to choose from for delicious meals, friendly drinks and family dining. Many places are offering special Valentine’s menus or have meals aimed at the little ones for the school holidays. Why not combine your trip with an overnight stay? There are plenty of places with rooms still available for the holidays or Valentine’s. And if you’re still looking for the perfect Valentine’s gift, Totnes is full of independent shops with unique, handmade items for that special someone. By Coast & Country Cottages With the Totnes to Sharpham walk so picturesque, we just had to make a visual guide to show you the natural beauty of one of South Devons glorious walks. This moderately easy walk along along the Dart Valley trail takes you to Sharpham Vineyard, where you can sample locally-produced wine and cheese! 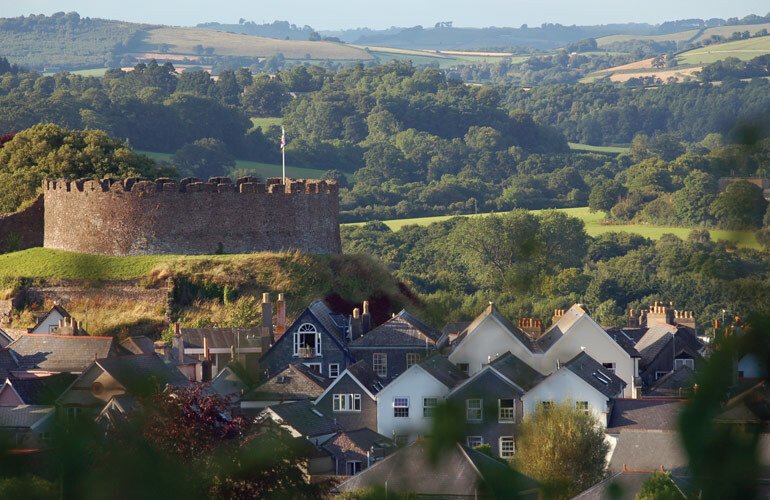 The bustling ancient market town of Totnes is situated at head of the estuary of the River Dart, and is the starting point to The Dart Valley Trail. Read more.